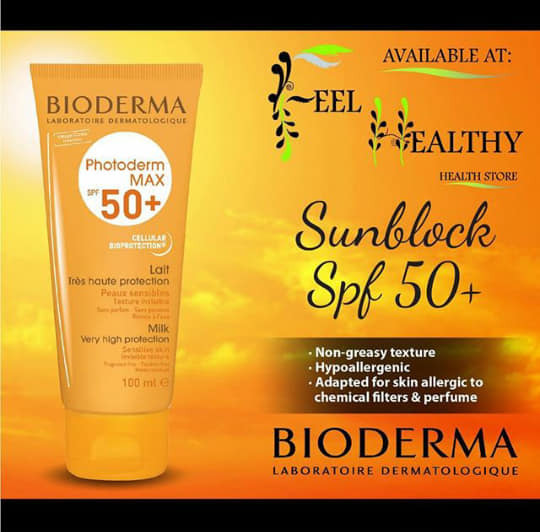 Bioderma Photoderm max SPF 50+ cream for sensitive skin. Just the best sunblock ever. Shop Feel healthy Balfour Mall today.